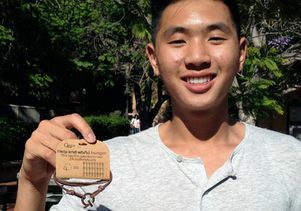 In less than a month Steven Ng has raised nearly $18,000 selling bracelets he designed. 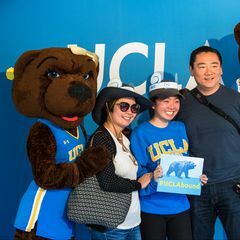 When he’s not going to classes, studying or running the fashion accessories business he established to pay his tuition and housing, UCLA economics major Steven Ng manages the non-profit he founded to fight global hunger. “Hunger is something no human should feel,“ said Ng, a third-year student who was inspired to take action when, during a volunteer relief trip to Kenya this summer, he witnessed the heartwrenching sight of barefoot young children foraging through heaps of garbage, broken glass and used condoms for scraps of food. The United Nations estimates it would take $30 billion to end global hunger. Meanwhile, people around the globe spend $170 billion a year on beauty supplies and cosmetics. Ng drew a connection between these two facts soon after he returned from Africa by founding Global Ties, a non-profit company which sells bracelets that Ng designs, with proceeds going to a famine-relief charity. In just the past month, Ng has already raised nearly $18,000. Ng has accomplished this rather incredible feat by drawing upon entrepreneurial experience gleaned from running the fashion accessory company, Elliot Havok, that he started early in his sophomore year. For his new non-profit venture, Ng applied his longstanding interest in fashion to design a relatively inexpensive and stylish product that could appeal to people who want to help end hunger but might not have a lot of money. The synthetic leather and rope bracelets come in three styles that incorporate a metal charm that combines the capital letters G and T (for Global Ties). Proceeds go to the international relief organization Why Hunger. 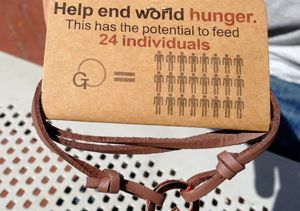 The purchase of a $9 bracelet feeds 12 people, the $15 bracelet provides food for 24, and the $30 one can feed 48 people. “This is the easiest way to convey to people that change is going to happen,” said Ng. Taking care of himself meant going to college. But paying for college, Ng realized, was going to be difficult for his parents, who live in San Francisco. While neither of them finished high school, they have supported their family through small businesses: His mother owns a small day care center and his father owns a construction company. “My mom always said, ‘Wherever you decide to go, we’ll financially support you. We’ll sell the house. We’ll refinance our mortgage. We’ll sell everything,’” Ng said. Though he appreciated the generous offer of support, it motivated him even more to become self-sufficient. Ng spent the early months of his sophomore year working on the business plan for his fashion accessory company, Elliot Havok (his middle name is Elliot). His first product, which Ng designed, was sunglasses with wooden temples. His older brother, Vincent — who had just started a company called Halo Belt that makes LED-lit safety belts for bicyclists and road workers — connected him to manufacturers in Asia. Ng had to negotiate costs with manufacturers, determine retail pricing, design the packaging and plan the marketing and take on other tasks that were new to him. That first product “took about three months of work every day just thinking about it and working on it,” Ng said. But by the end of fall quarter, few of the sunglasses had sold, and Ng felt that he didn’t have much to show for the countless hours of sleep and studying he had sacrificed. But then he came up with a new product: a wallet that allows someone to swipe the magnetic strip of a credit card without taking the entire card out of the wallet, which is a better safeguard for personal information. Sales took off. What his mother hasn’t been thrilled about is seeing Ng’s GPA drop from a 4.0 to a 3.3. But she understands, Ng said, that working 60-80 hours every week on his business as well as on his non-profit makes it difficult to find time for schoolwork. 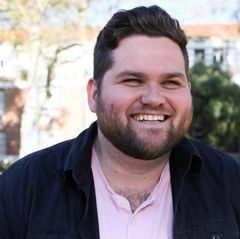 Ng admits that there have been moments when — bleary-eyed from sleep deprivation with homework to finish or another work-related email to answer — he has considered dropping out of school. But his mother wants him to graduate, so he plans to complete his studies in three-and-a-half years.